Read Pain Relief Can Start With A Healthy Walk by Dr. Barry Coniglio to learn more about Coniglio Chiropractic Wellness Center and our Chiropractic office in Mantua, NJ. What is your excuse for not exercising? Is it no time, tired from work, the kids, or in pain? Unfortunately, those are all great reasons (excuses), but instead of justifying the reasons, let’s grab your sneakers and a light sweatshirt and let’s get walking! Best of All – Free Membership! While some fitness enthusiasts relentlessly seek out the latest, trendiest exercise crazes, many others are returning to good, old-fashioned walking to help them feel great and get into shape without becoming a member of an expensive gym. 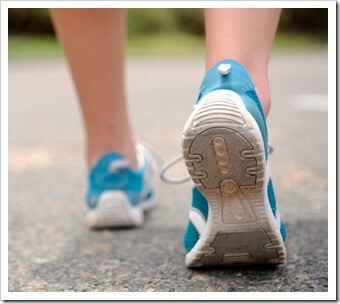 Best of all except for a good pair of walking shoes, it requires virtually no equipment. So whether enjoying the wonder of nature or simply the company of a friend, walking can be a healthy, refreshing experience. And thanks to its convenience and simplicity, walking might be right for you, too. A sedentary lifestyle has a debilitating influence on people’s health as they age; therefore exercise is imperative. Once you have purchased a pair of shoes, don’t walk them into the ground. While estimates vary as to when is the best time to replace old shoes, most experts agree that between 300 and 500 miles are optimal. Stop staring down at your phone. This posture change will have you looking up and around, and unplugged from stress. The simple head posture shift will also take the pressure off your joints that are causing you to carry your weight improperly. Expect a little soreness in the thighs and calves for the first week or two. If you experience more than soreness, check with your chiropractic physician. Of course, be sure to consult your medical practitioner before beginning any rigorous exercise program. Grass is another good surface, but watch out for hidden dips or holes in the ground. Walking on a surface with no give, such as concrete or a mall floor, is not your best choice, because this type of surface will not absorb much of the impact your body will experience. If you do choose to walk on such a surface, be extra careful to select highly cushioned shoes. Take Your First Step Here! We want to help keep you moving in perfect balance to maximize the benefit and help to avoid low back hip or knee pain. So as you lace up and head for the open road make sure to call and get a checkup for top performance. This entry was posted on Tuesday, September 11th, 2018 at 12:51 pm and is filed under Health Articles. You can follow any responses to this entry through the RSS 2.0	feed. You can skip to the end and leave a response. Pinging is currently not allowed.